1–.Roses not only embellish our gardens and homes, but are also a source of well–being and health. 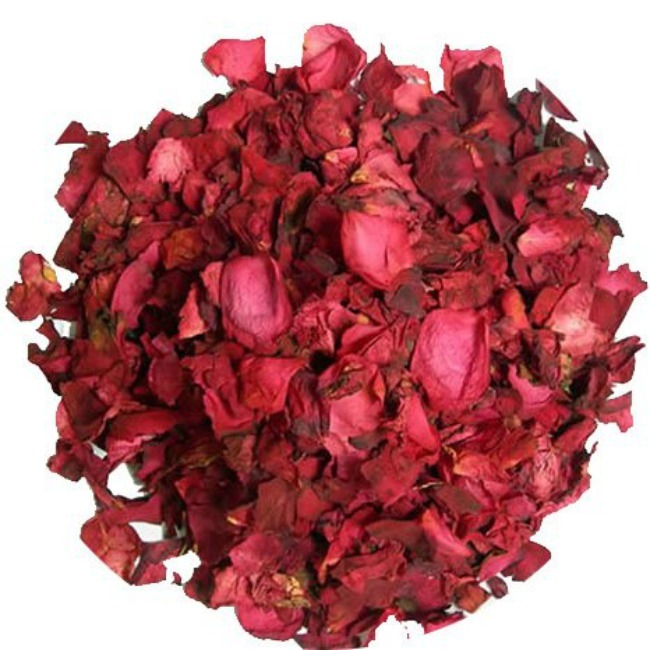 Rose petals act on your vascular, digestive and nervous system 10 times faster than chemical products due to its great amount of tannins.They have astringent, tonic, sedative, laxative, depurative, anti–oxidant and antidepressant qualities. 1.-Las rosas no sólo embellecen nuestros jardines y hogares también son fuentes de salud. Los pétalos de rosa actúan en los sistemas vascular, digestivo y nervioso con una rapidez diez veces mayor que los productos químicos debido a su gran cantidad de taninos.Tienen cualidades astringentes, tónicas, sedantes, laxantes,depurativas, antioxidantesy antidepresivas. 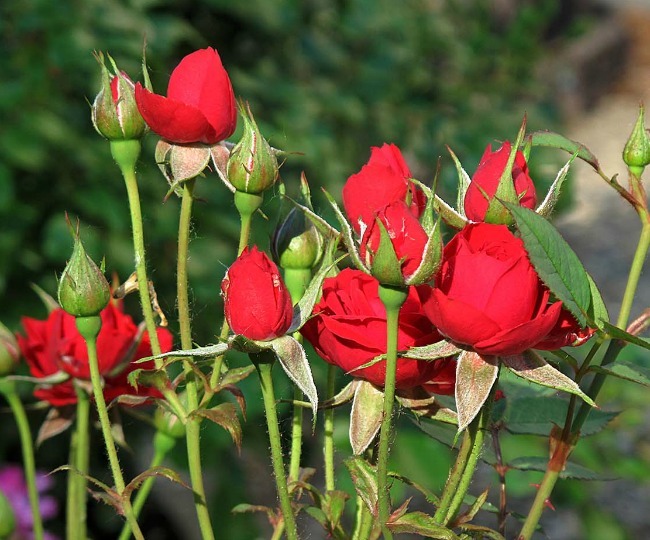 2.–Red roses have more tannins than the rest and therefore more medicinal qualities. 2.-Las rosas rojas tienen mayor número de taninos que las demás y por tanto más cualidades medicinales. 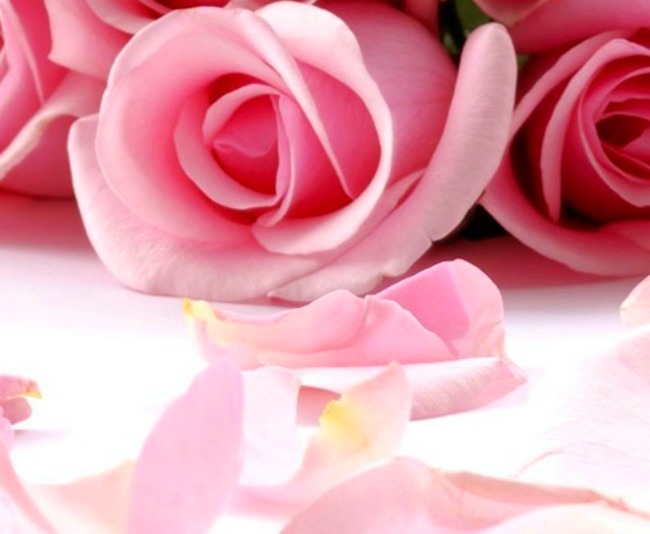 3.–Petals should come from rose bushes which haven´t been exposed to pesticides. 3.- Los pétalos deben proceder de rosales que no hayan sido tratados con pesticidas. 4.–Roses should be hand–picked at midday, when they are still rosebuds, just before they bloom. 4.- Las rosas deben de cortarse al mediodía en la fase capullo, justo cuando están a punto de abrirse. 5.–Once picked, you remove the white part and lay on a clean cloth in a dark, dry and ventilated place, and then cover with linen to avoid dust. 5.- Cortada la rosa, se le quita la parte blanca y se extiende sobre una tela limpia en un lugar oscuro, seco y aireado que cubriremos con un lienzo para evitar el polvo. 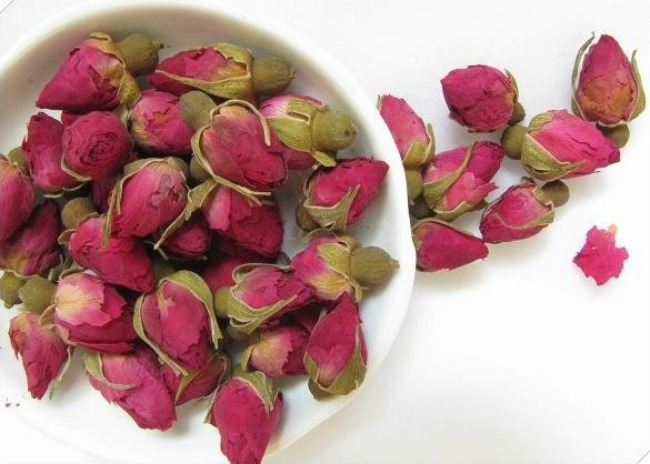 –You will need 50g of dry petals per litre of water. –Boil the water, remove from the stove and add the petals. –Leave to set and serve. - Se necesitan 50g de pétalos bien secos por litro de agua. -Hervir el agua , retirar del fuego y añadir los pétalos. Posted by mispapelicos at 11:26 a. m.
Agua de rosas a tope! Wow I never knew that there were so many other qualities other than a rose being my favourite looking flower. I want to try this after hearing all these benefits! This looks so great. I want to try it and i love roses. It's a very nice post. Mi hermano y yo haciamos perfurme de rosas cuando heramos ninos pero nunca pense en te. So many of us need such a reminder to be calm these days, thanks!! 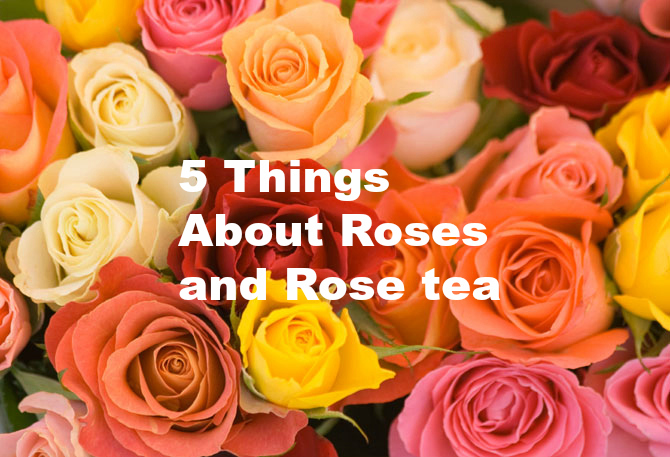 You just taught me alot...did not know this about roses and tea. Thanks! Me encantan las rosas pero siempre se me han resistido para cultivarlas y hace años que desistí! 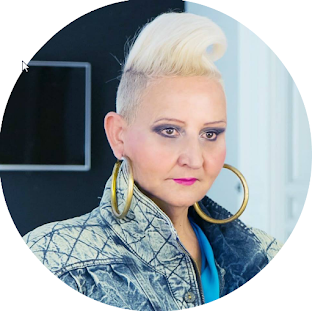 Un abrazo amiga. That sounds wonderful! I never tire of the fragrance of roses. 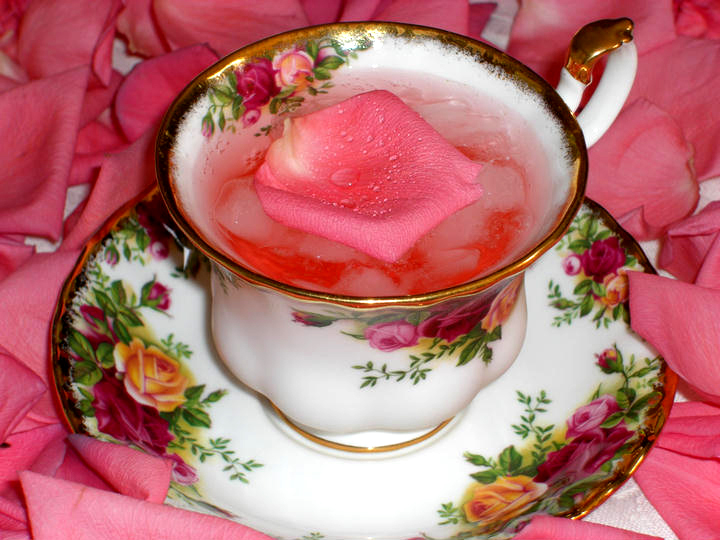 I want to make rose petal jelly this year! Love roses and have some in my garden! Ohhh! I love that you did a post on roses. What a romantic and mystical quality they have! Good to know they can contribute to your health too! I want to try the tea! I did not know all of that about roses! Thank you for this! I look forward to the roses blooming soon. Wow-- roses are as amazing as they are gorgeous! I absolutely love roses, they are the most beautiful, delicate and feminine flower! Mmm, I prefer my rose tea with some fresh apple slices and honey, it's so good for cold days =) Great post! good to know! i guess i should start drinking rose tea.